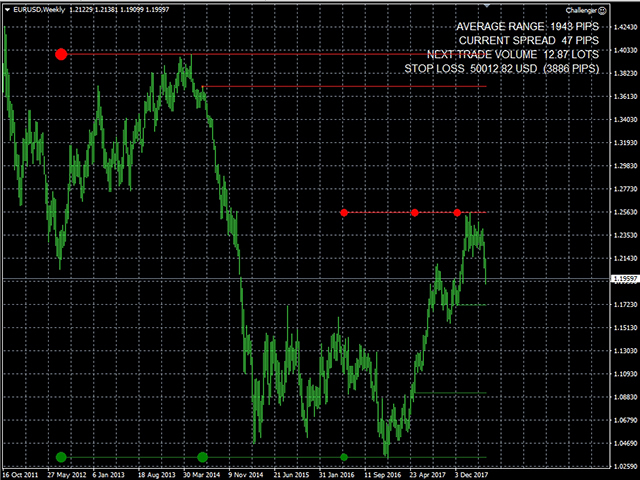 The Expert Advisor is based on breakthrough/roll-back of support/resistance levels. The EA decides on whether to buy or sell depending on how the previous bar near the level in a specified range is closed. The average volatility (AR) for a specified period (ARPeriod) is used to calculate virtual stop loss, take profit, breakeven and trailing stop levels. For example: stop loss ratio = 2, average volatility for a specified period (ARPeriod) = 200 pips, a stop loss per trade is 2*200=400 pips. Various data and levels are also displayed on the screen. The EA works on Open prices performing a small amount of trades. 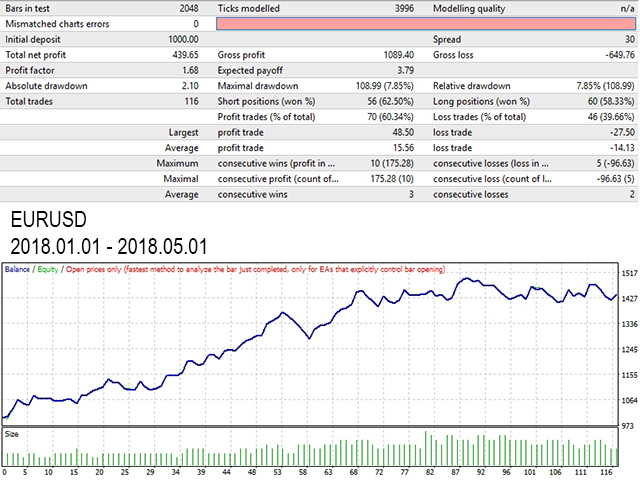 The robot is ideal for a trader as an addition to a manual strategy or in conjunction with another EA. The EA distinguishes its trades by a magic number. Only one market order at a time can be opened on a single currency pair. Grid and martingale are not used. OrdersComment - comment to orders.